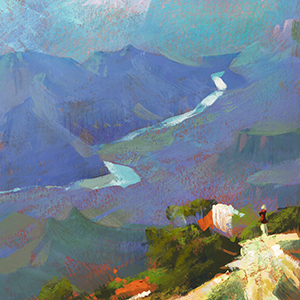 Gallery Nucleus is thrilled to host a solo exhibition for Nathan Fowkes. 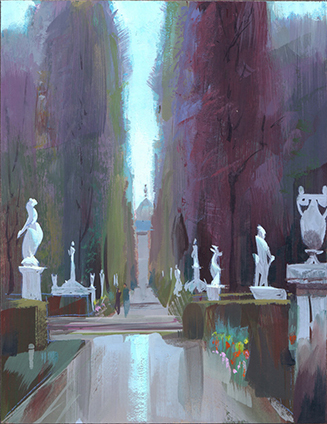 This exhibition features a series of scenic plein air paintings of different sites in cities and nature. Nathan Fowkes is a working animation artist with screen credit on 11 feature films on clients such as DreamWorks, Disney, and Blue Sky Studios. His work is featured in films such as "The Prince of Egypt", "The Road to El Dorado", "How to Train your Dragon", and many more. He has consulted and hosted workshops at different entertainment studios such as Blizzard Entertainment, Big Fish Games, and Infinity Ward. Nathan currently teaches drawing, painting, color and design at the Los Angeles Academy of Figurative Art. Get to meet Nathan at opening night!